A view of the Rotorua Museum (right) and the Blue Baths (left) in Rotorua, New Zealand. 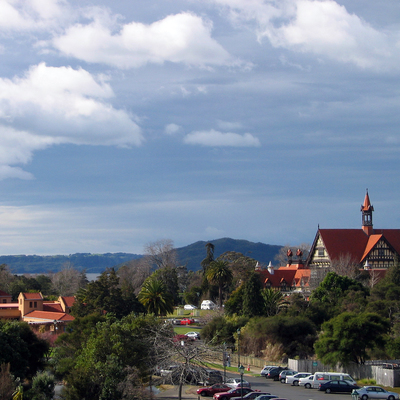 Add tags for "A view of the Rotorua Museum (right) and the Blue Baths (left) in Rotorua, New Zealand.". Be the first. <http://www.worldcat.org/oclc/841443081> # A view of the Rotorua Museum (right) and the Blue Baths (left) in Rotorua, New Zealand. schema:about <http://www.worldcat.org/oclc/841443081> ; # A view of the Rotorua Museum (right) and the Blue Baths (left) in Rotorua, New Zealand.